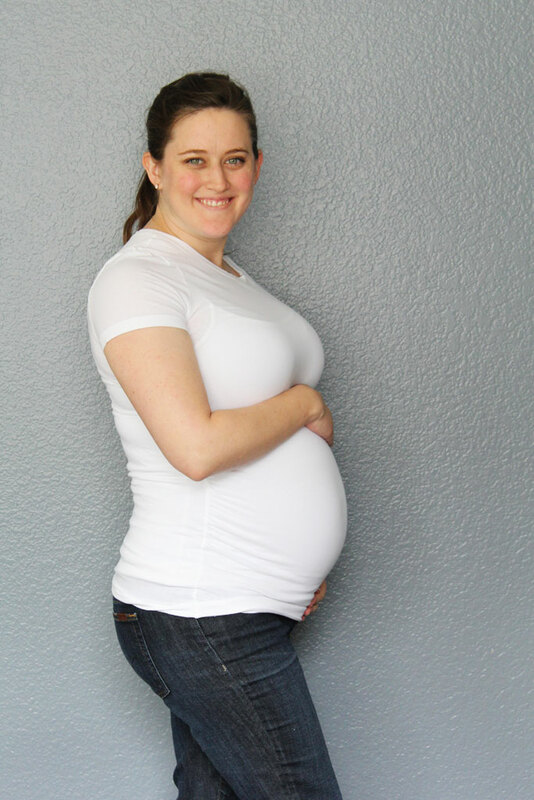 Baby’s Size: Baby girl weighs the same as a coconut and should start growing several ounces each week. The doctor thinks she is on track to be in the 6-7 lb range which she said is normal for people like me… I think she means SHORT, but she seems pleased with the growth, so I’ll take it! Baby’s Progress: She is still just getting bigger and developing more– she moves ALL THE TIME and apparently can turn her head from side to side. Weight Gain: I gained a lb this week, so I am up to about 12 lbs over my pre-pregnancy weight. Although I’ve been told the weight gain really ramps up in these last few weeks… so we will see if that happens! Sleep: I’ve had a sore throat and major allergies this week which turned into a pretty nasty cough, so I’m pretty sure THAT’s what is keeping me up at night. But that combined with the need to pee every time I wake up means I haven’t been getting a lot of good sleep this week. Knock on wood I can knock out this cold and go back to sleeping a bit before baby girl gets here. Milestones: I don’t really have any milestones this week, except that she is really moving around, so its been kinda fun for other people to see/feel her move around in there. I did go to a high school musical production of Guys and Dolls and baby girl apparently LOVED that since she moved around for every musical number. Between that and a concert I attended Sunday night, Baby Girl is getting a lot of musical education and she seems to really love it! Hopefully she’ll inherit more of her dad’s musical abilities and not mine so that she can actually participate in music rather than just like to hear it! Favorite clothing item of the week: SHORTS! We had a GORGEOUS day last Saturday where it hit 90 degrees and was a hint of summer, and I wore a pair of shorts a friend handed down to me, linen shorts with an elastic maternity waistband… YES PLEASE. Symptoms: Back pain is mostly gone so it seems like that really is related to me over-doing it 🙂 My treat this week is that she is big time pushing up on my diaphragm and lungs making it awfully hard to breathe. That combined with the stuffiness and cough means breathing is a real trick. Workout: does walking up and down the stairs count? Because as out of breath as it makes me… it really feels like it. PS. If you missed any of the updates, you can check them all out here.